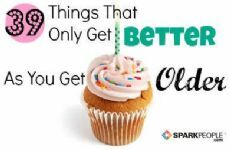 If you have reached the age of 60 without any aches, pains, health problems or injuries, congratulations! 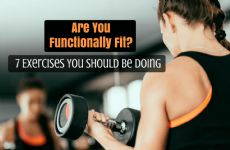 However, the vast majority of the population by this age has had their fair share of challenges, which makes exercising all the more difficult. The American College of Sports Medicine recommends that all adults weight train at least two non-consecutive days a week, in addition to regular cardio work. Not only will regular resistance training make you feel like a superhero when you're picking up the grandkids, but you'll also be decreasing your risk of heart disease, decreasing blood pressure and improving cholesterol, among other benefits. By the time you reach the age of 60, what should your strength-training program include to reap the benefits, though? 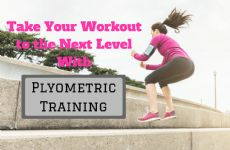 The weight room can be intimidating for anyone who's never lifted weights, and with so much equipment available, finding the right combination of exercises can be downright confusing. Any resistance training routine should include three elements: Exercises that increase flexibility, increase your strength for all major muscle groups and be selected with care to avoid aggravating past injuries or causing new ones, most importantly. For your first foray into the weight room, keep these 16 moves in mind and get ready to get strong. When working out the legs, the focus should primarily be on working the muscles surrounding the hips and knees. Squats are a great place to start focusing in on these areas. Not only does the squat strengthen the muscles around the knees and hips, but it is also a fundamental movement necessary for activities of daily living and independence, including once-simple acts such as getting into and out of a chair. If you have bad knees, learning how to squat without knee pain is essential. If you struggle with knee pain, try not squatting as deeply or eliminate some of the weight by holding on to the kitchen counter as you lower your body. Keep in mind that proper form is essential here, so check in with your body throughout the movement to be sure your knees are aligned with your ankles and that you're not feeling any pain. If squatting is still a challenge, leg presses are an alternative that works the hip and knee musculature, but decreases the loading on your knees compared to squats. Use leg presses to build strength in your legs until you can progress to a full bodyweight squat. If neither squats nor leg presses are an option, start with exercises that strengthen the hips exclusively. A lying abduction is not only low-impact, but it is also a beginner move that targets that whole hip area. Research has shown that strengthening your hips alone can lessen knee pain. Once your hips are stronger, you can progress to exercises that incorporate both hip and knee strengthening such as those mentioned above. A strong back is key in maintaining proper posture, which will prevent future lower back and shoulder pain. 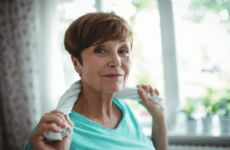 Unfortunately, many of people—especially those at or over 60—are rounded at the upper back and shoulders, a condition which is referred to as kyphosis. 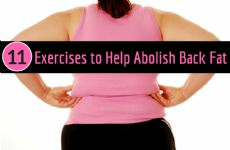 To combat this, find exercises that stretch the chest wall and strengthen the muscles that pull the shoulder back into proper alignment. Unfortunately, many people tend to focus primarily on lat pulldowns or rows, neither of which is especially effective for correcting common postural alignments. 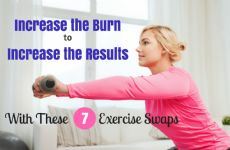 On the other hand, the reverse fly, which can be performed with a resistance band or with dumbbells and a medicine ball, is a fantastic exercise option for targeting the length of the upper back. Working your chest after age 60 is important for flexibility, postural enhancement and strength. While many people rely on chest presses to work this area, they are often a primary cause of chronic shoulder problems. Focus on chest flies, instead, which are essential for those with hunched shoulders. Flies not only strengthen the chest musculature, but they will also help to stretch the area, which helps to open the chest wall and mitigates postural problems as we age. For arms, the two most popular options seem to be biceps curls or triceps extensions, with there being endless variations for each. Being that the triceps make up approximately 75 percent of your upper arm, this is where you should focus your time, particularly later in life. Tightness in this particular muscle leads to a loss of shoulder mobility, thus focusing on strengthening the triceps could prevent future issues. Generally speaking, triceps extensions that place your elbows near your head are the most effective, as they provide the greatest stretch to the triceps, so keep that in mind when you perform this exercise. By the age of 60, many people focus on shoulder raises—both lateral and front—to work this important area. However, shoulder raises are often performed incorrectly, which can aggravate prior shoulder injuries or cause brand new ones. Multiple variations of the move are also necessary to target the entire shoulder region, rather than just part of the muscle. A better option is Fred Stellabotte's Complete Shoulder Move, a four-step move created more than 50 years ago to address shortcomings with standard shoulder exercises. Use very light weights as you raise shoulders up, together, out wide, rotated down and then lower back down by your sides. This multi-faceted move is a must try. Photo courtesy of "Weight Training Without Injury"
The options for your core are endless and varied. There are five basic types of core exercises: those that round your lower spine, those that round your upper spine, exercises that arch your spine, those that twist or side bend the spin, and exercises with that utilize a neutral spine. By the age of 60, many people suffer from slouching issues, so exercises such as reverse crunches, which round the spine, are nonessential. Exercises that arch your spine and place dangerous loads on the lumbar, including Supermans, should be done with extra caution, as should any twisting or bending movements. Thus, after hitting the 6-0, it's recommended that you focus on core exercises that maintain a neutral spine. The basic plank is a superstar move that will challenge the abs in unexpected ways. If getting down on the floor is too difficult or impossible, try using an elevated surface such as your kitchen counter or the arm of your couch, instead. The higher the surface, the easier the move will be to perform. You can also start with your knees on the ground to build strength, before gradually progressing to a full plank. Rachel Straub, MS, CSCS, is an exercise physiologist, nutritionist, biomechanist and certified strength and conditioning specialist. She has co-authored research papers int he fields of biomechanics, sports medicine, published in the American Journal of Sports Medicine, Journal of Strength and Conditioning Research, Journal of Electromyography and Kinesiology, and Nutrition Reseach and other journals. In addition, she is the co-author of "Weight Training Without Injury: Over 350 Step-by-Step Pictures Including What Not to Do!" which has won 15 book awards. 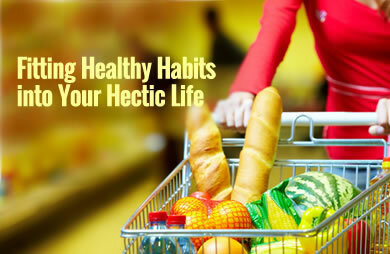 Are you challenging yourself to strength train for a healthier future?